Diane Leckemby joined Ackerman & Co. in 2002 as the property manager for a Class-A office building. In her previous role as Director of Property Management, she oversaw the management services provided by Ackerman to third-party property owners. Diane’s 25 years of management experience includes office, industrial, business park and retail properties, throughout the ownership cycle, from initial occupancy of new properties to successful disposition of investment properties. 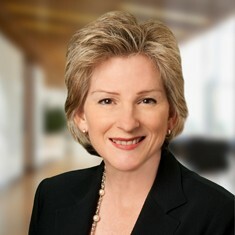 Prior to joining Ackerman, Diane was Property Manager for NAI/Brannen Goddard and managed several property portfolios for various third-party institutional owners.